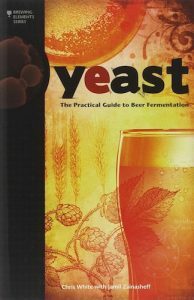 If you are looking to further your knowledge on yeast, Yeast: The Practical Guide to Beer Fermentation is a phenomenal book. This book provides knowledge about what yeast is, how they work, and how they react to the various conditions you might put them under. However, this book shines when describing yeast culturing, by explaining precisely how with step-by-step guides and amplifying information through illustrations. It covers in detail harvesting, washing, pitch rates, storage, slant and petri dish preparations, cell growth, and colony isolation. This is a must have book for every homebrewer, especially those looking at the other side of homebrewing aside from just making wort and delicious homebrew.